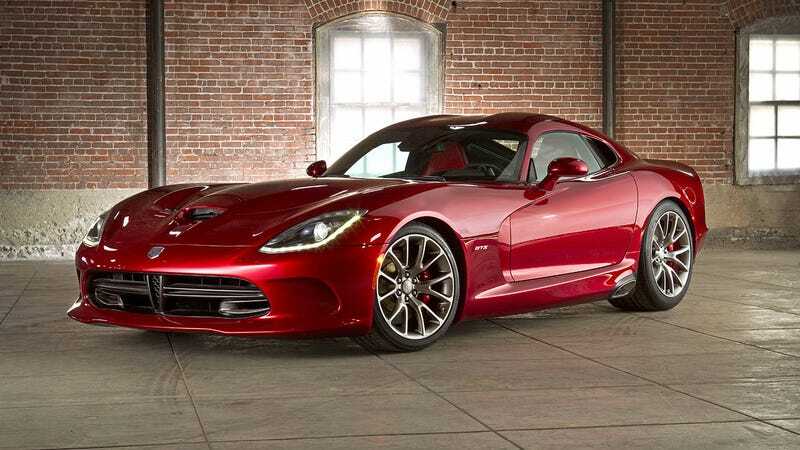 I recently decided that if by some miracle I was able to afford a new car in the $100-150k price range, I'd have to choose the SRT Viper. In all likelihood, I'll probably never drive one, much less come close to having the opportunity to own one. But that won't stop me from dreaming, so excuse me while I prattle on. This car captures my imagination in a way that Ferraris, Lamborghinis, Aston Martins, Audis and Porsches are unable to. Don't get me wrong, I drool over those cars too, and they capture my imagination for sure. But the Viper does it in a different way. Maybe its because it doesn't seem as pretentious or as exotic as its competition. It seems down to earth, but still capable of absolute brutality. Maybe its because I just don't see very many of them in the real world. I'm really not sure. I shouldn't want this car. Chrysler makes me nervous and they always have. They have built a reputation of shoddy craftsmanship and poor execution that I have seen first hand, and from what I've heard, it still seems to be an issue. Look at the recent Jeep Cherokee launch debacle. Now I know Chrysler is going through something of a rebirth and things have changed. They say that their quality has improved, and that they promise they are better, but people say a lot of things. I could be totally wrong, but I still don't think I could look at any Chrysler at the moment and feel confident that I was buying a quality product. But when I think about the Viper, none of that matters anymore. Maybe it's a forbidden fruit, and that makes me want it even more. The Viper has always had a special place in my heart. When I was in 3rd or 4th grade, I was standing at the corner bus stop one morning with the other kids and the parents, and a man in a red RT/10 rolled up to the stop. I was captivated. I had never seen any car like that before. My dad and I walked over to it and my dad spoke with the guy, but I was just so drawn it. I think I was compelled to touch it. But my dad pulled me back after an unknown period of time and the guy drove away with a sound I had never heard from a car before. That was the moment I fell in love with cars. After that, I hoped every morning that I would see it again, and occasionally, he would drive by and wave, and it would make my day. I started reading my dad's Autoweek, which only took me farther and farther into the automotive rabbit hole. 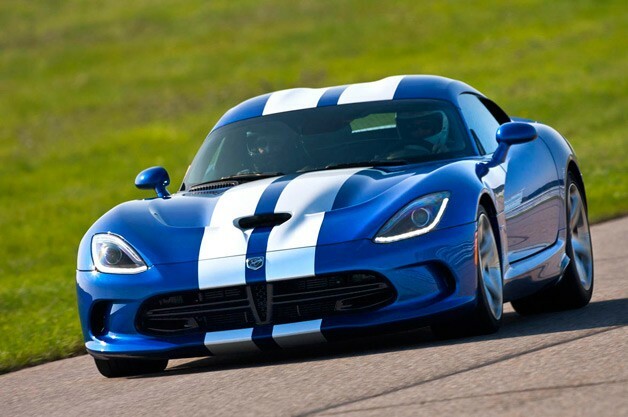 My grandpa got me an R/C Viper GTS that was blue with white racing stripes, and it was my favorite toy for a long time. I also remember when they updated the car to the SRT-10. I didn't like its redesign. It was the first time I think I actively critiqued a car for its styling. I remember looking at the new angled body style and thinking that they ruined my favorite parts of the car. I never really learned to love it, and I shifted my eyes to other cars. But the new Viper brings back much of the classic styling cues of the first and second generation: the intake on the hood, the two bulges on the roof, that glorious side gill. Actually, its all about that side gill. That curved side gill captured my imagination when I was 11 and it had the exact same effect now. As soon as I saw it, it brought me right back to being that kid at the bus stop. It has brought me back to the point of captivation. And you know what? It's 100% functional. I mean look at it. I now know why I want one. It represents my car-loving genesis. Maybe, just maybe, I'll someday get the chance to meet this hero. Fingers crossed. So what about you? You have $100-150K to spend on a new car. What would you choose? Why? Is there a car that caused you to fall in love with cars?